Apple has leap-frogged LG into third place for global mobile phone sales according to research firm IDC. The findings suggest that in Q4 of 2011 Apple shipped 37 million units globally, 20 million more than LG managed in the same period - which includes both smartphones and featurephones. 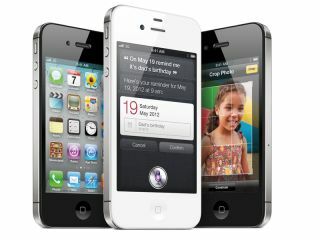 Apple has seen its mobile phone market share boom with the Q4 2011 stats showing a 128% year-on-year increase in the number of shipped units and a 96% rise for the year. Nokia still sits top of the tree having shipped 113.5 million units in Q4 (26.6% market share), but the Finnish company saw its year-on-year stats take an 8.2% drop as competition from Samsung and Apple intensified in 2011. Samsung also witnessed a year-on-year increase of 20% shipping 97 million units in Q4, cementing its second place position with 22.8% of the market share. Apple are still some way behind Samsung and Nokia in terms of units shipped, as iPhones accounted for just 6% of total phones in 2011, with Nokia claiming 27% and Samsung 21% for the year.